Gymstick is bringing your workout experience back to the stone age with their new Fitrocks Kettlebell. 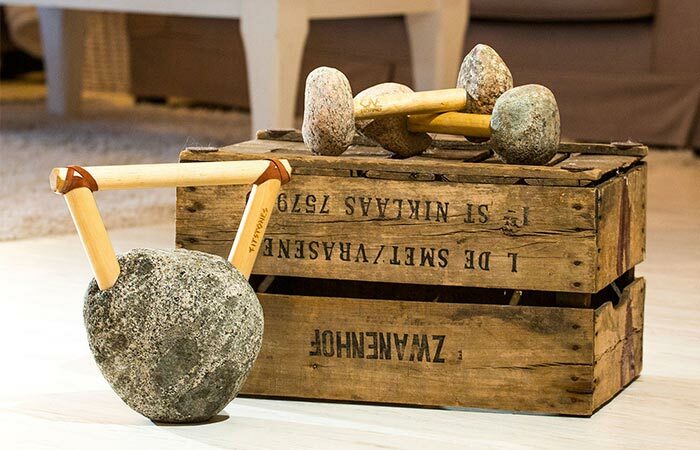 According to them, these cool kettlebells “began their journey 600 million years ago when the lava began to bubble up deep beneath the earth’s crust to create mountains.” Yes, you’ve heard it, this strength training tool is actually made from stone. The entire production process is done manually. From picking and grafting Finnish granite and birch, all the way to the final touches, kettlebells are made with a high craftsmanship level. Each one is unique and aside for working out, it can blend in nicely with your home decor. Fitrocks Kettlebell is handcrafted from Finnish granite and birch. You can use Fitrocks Kettlebell for a dynamic, full body exercise, a wide range of movements and your Crossfit routine. It will get multiple muscle groups to work at the same time. You can get them in 4, 6, 8, 10, 12, 14, 16 and 20kg. Check out the rest of Fitrocks collection that includes a Roller, Clubbell, Gripbell, Ropebell and Dumbbell.